Last week’s exhilarating Condé Nast International Luxury Conference was a wonderful partnership between global sponsors and event organisers. While registration and refreshment took place in the ever-versatile Lookout event venue, the amazing line up of speakers and panel discussions occurred in a large marquee specially erected for the conference in the adjoining area. 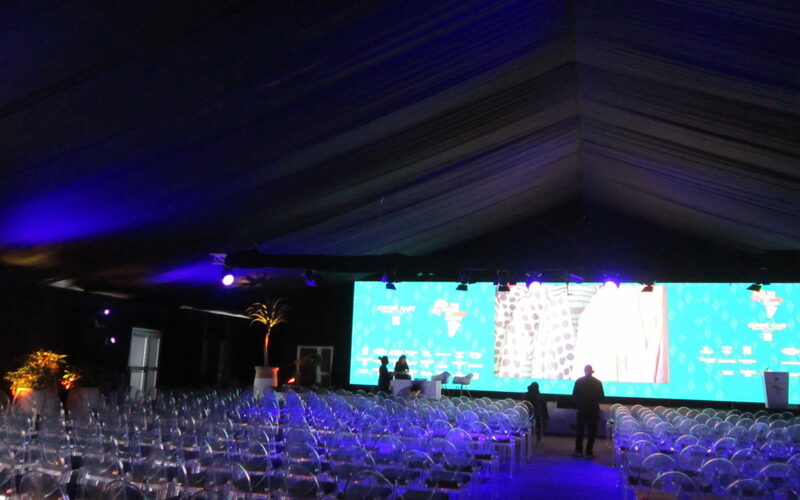 Chattels Infrastructure Solutions were responsible for the 25m x 25m marquee and on behalf of global event company, IMG, The Events Draping Co. team draped the marquee in collaboration with Petals Group, who provided the side panels. To ensure a complete blackout for the conference the draping was all black. Lighting & sound by Gearhouse, with black vinyl panels by Artlab, furniture by Urban Tonic and plants from Indegius & Plantr.